Home Gotabhaya Rajapaksa Mahinda Rajapaksa news Sri Lanka Rajapaksa administration officials grilled, ex-prez cries foul. Rajapaksa administration officials grilled, ex-prez cries foul. 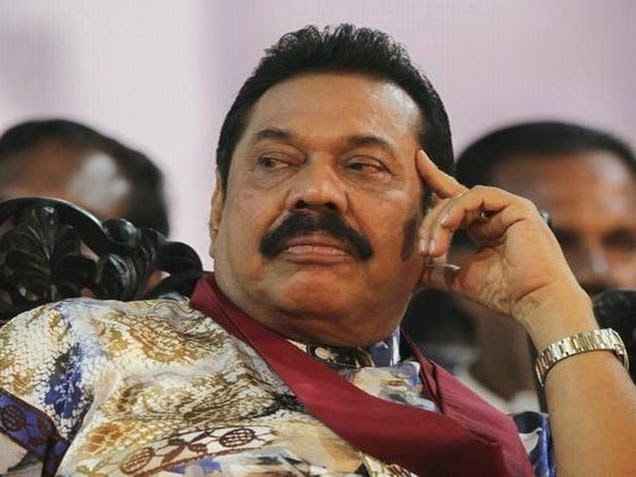 Amid claims by former President Mahinda Rajapaksa that the new Sri Lankan government is carrying out a “political witch hunt” against his associates, more senior officials of his administration were grilled by investigators on Tuesday. P.B. Jayasundera, Mr. Rajapaksa’s top bureaucrat in the Finance Ministry during his nearly decade-long rule, was interrogated by police’s Financial Crime Investigation Unit (FCIU) on Tuesday. “Dr. Jayasundera was questioned over the alleged wrong doings in the oil hedging transaction which had caused a loss of 200 million dollars to the government,” Police spokesman and Assistant Superintendent Ruwan Gunasekera said. On the same subject, Mr. Rajapaksa’s governor of the Central Bank Ajith Nivard Cabraal was also quizzed last week along with the then chief of the state petroleum entity Asantha de Mel. Mr. De Mel, a former Sri Lanka Test cricketer and former Chairman of Selectors, headed the Ceylon Petroleum Corporation under Mr. Rajapaksa. “What is happening today is a political witch hunt. They are taking revenge from innocent officials on false accusations,” Mr. Rajapaksa told a religious gathering on Monday at Bandaragama. “Many false stories are being spread about our bank accounts and other false alleged frauds,” Mr. Rajapaksa said. Since Maithripala Sirisena’s opposition coalition defeated Mr. Rajapaksa in the January 8 presidential election, several former administration bigwigs including the Rajapaksa siblings who held high positions under the previous administration have been subject to investigations. On Monday, in the magistrate court in the Colombo suburb of Kaduwela, Basil Rajapaksa, a younger brother of Mr. Mahinda and the Minister of Economic Development in the previous government, failed in an attempt to prevent his arrest upon his return from the US. Mr. Basil is wanted by the police’s FCIU over misappropriation of livelihood assistance funds. On Tuesday, another Mr. Rajapaksa key aide and parliamentarian Sajin de Vaas Gunawardena was released on bail in the case for his failure to account for his assets. He and his wife were grilled by the Bribery Commission over his assets. Mr. Rajapaksa’s another younger brother, Gotabhaya Rajapaksa, is also facing a probe for allegedly running “death squads” and ordering the murder of a high-profile newspaper editor, Lasantha Wickrematunga.